Mother and daughter reunited in the kitchen to prep for Rosh Hashana meals. 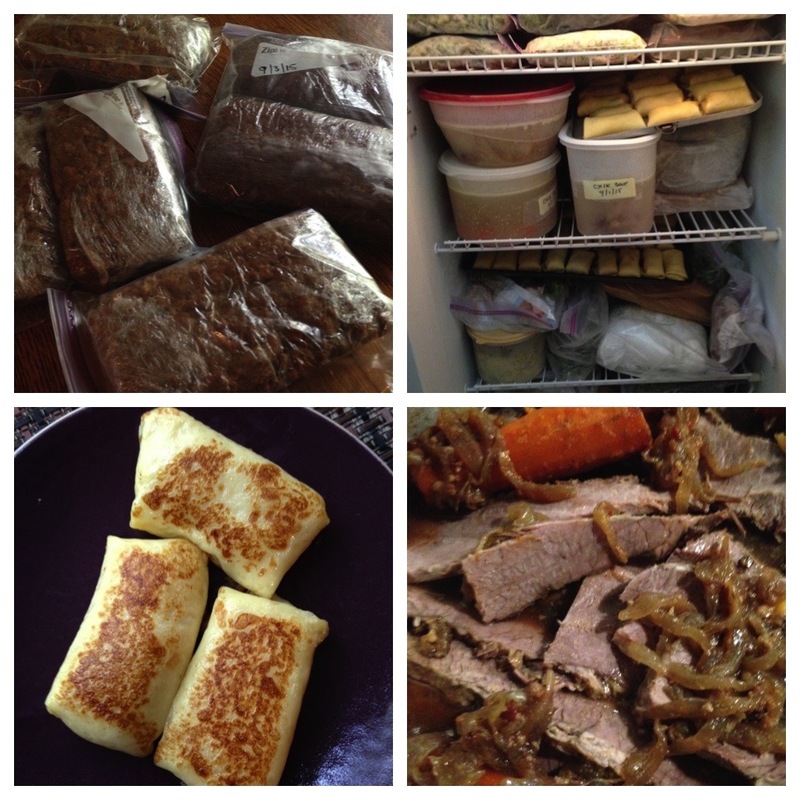 Together, we prepared beautiful food for our intergenerational family and friends ranging from the classics (chicken soup and matzoh balls, Kasha with Mushrooms and Onions, noodle kugel and brisket) to the new (lemon scented quinoa with pesto and kale and sweet new year ladoo). We tried to design most of our menu to apply to The Cleanse so that we’d have some leftovers for Esrei Yamim. We threw around the above sentence freely throughout our work together in the kitchen, teaching one another new lessons. 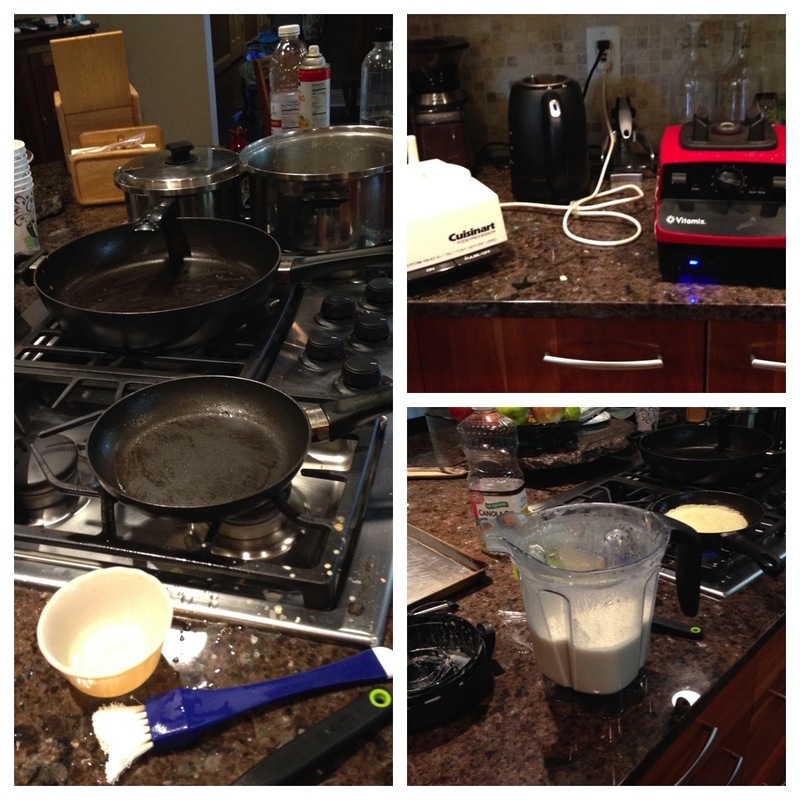 Our cooking styles are different (fo sho) but it worked. The major consensus: no matter how much counter space you have, it’s never enough. 1. When roasting veggies in the oven, heat olive oil on the cookie sheet before placing the veggies on them. The hot oil will scorch the skins of the veggies adding an extra crunch. 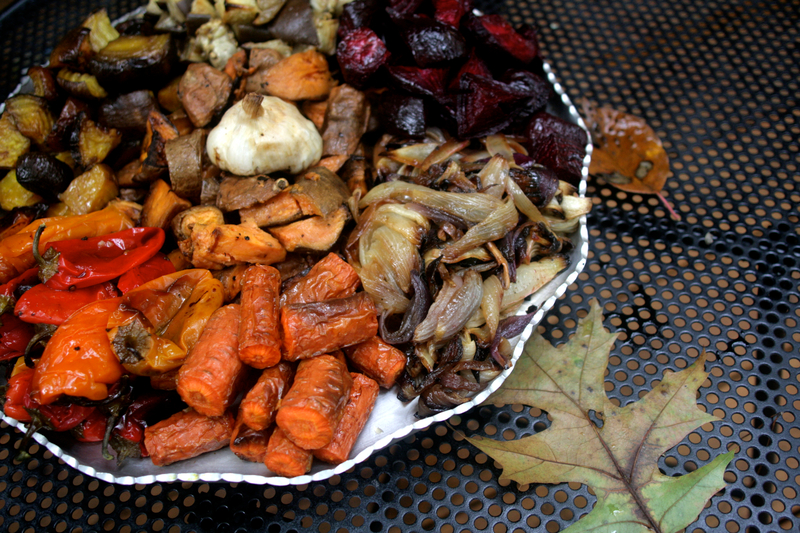 And you need a really hot oven to get good roasted veggies. With convection, the heat gets blown evenly throughout the oven with a fan, typically from the back, for more even and quick distribution of heat. If you have a convection-bake setting, you have the convection component as well as the normal heat coming from the bottom of the oven, which crisps the veggies with high heat. 2. I learned that the shapes I cut vegetables in makes a difference. 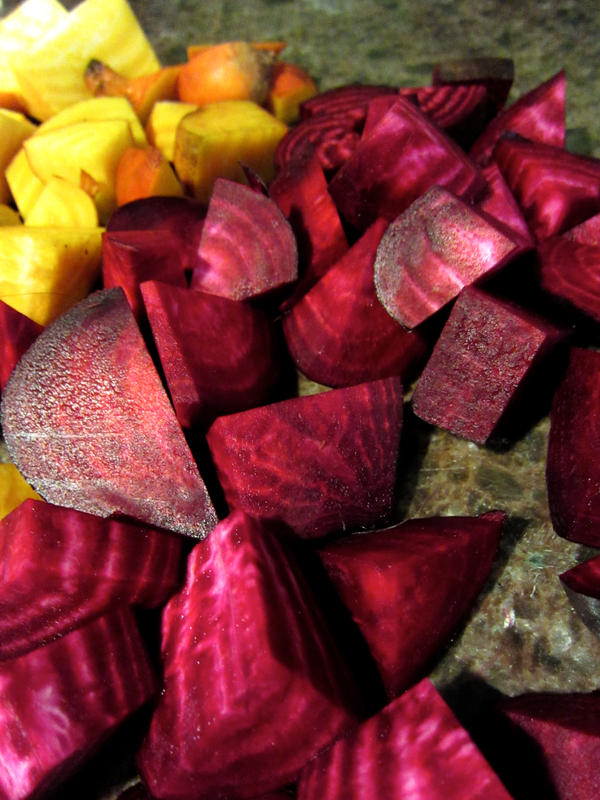 Usually, I just cut vegetables into lopsided chunks or whatever’s easiest… that’s why they come out ugly. Cutting veggies with sharp edges allows them to crisp better on the outside… and consistent sizes are important for timing. 3. You can wash sneakers in a washing machine and dry them in a dryer and they’ll come out like new… what? 1. Turn off the overhead lights to minimize glare when photographing. And white balance is important – when pictures are taken indoors, the colors in the artificial lights are captured, rendering the natural colors of what is photographed. The things that are actually white should look white in the photograph… not yellow or blue. This is best achieved when photographing in natural light or using flash. 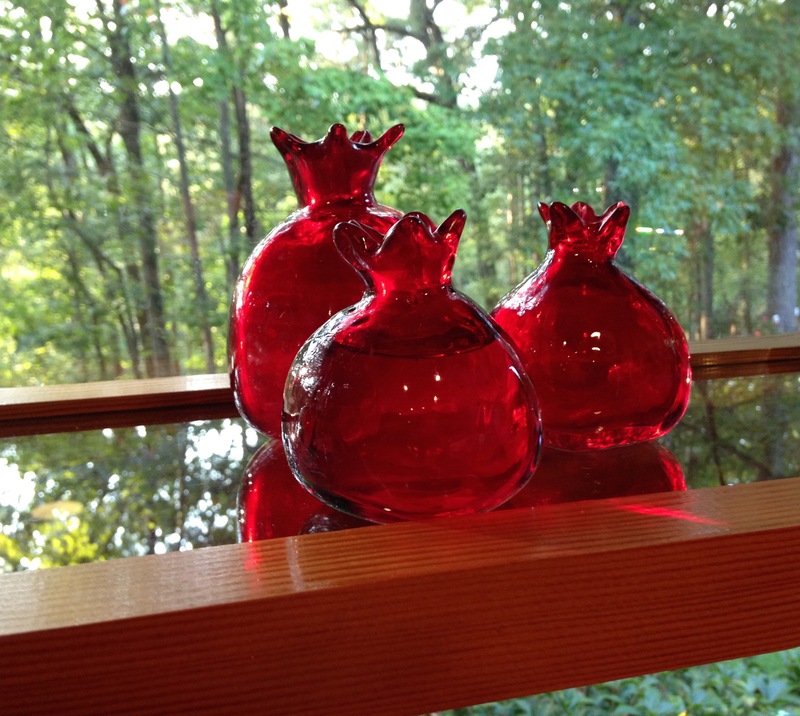 Take away: photographs should be taken outdoors or near a window with plenty of natural light. 2. 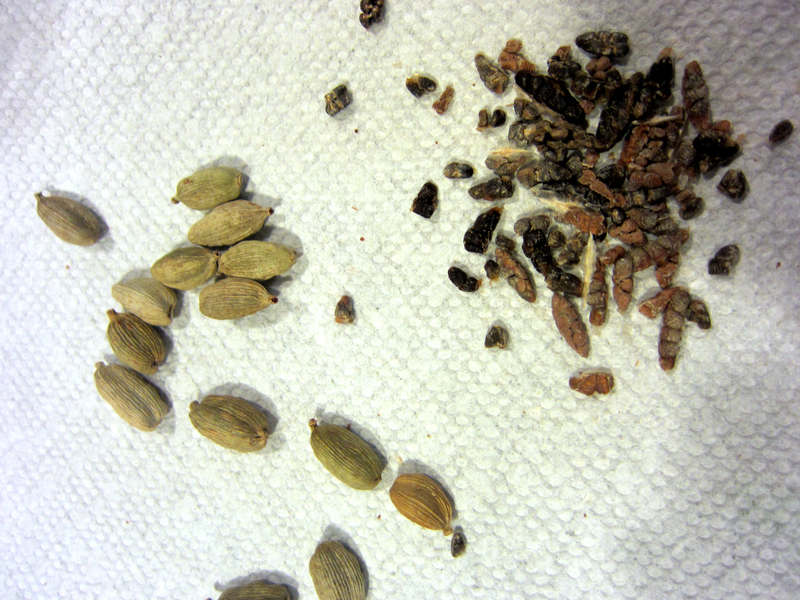 I learned to be a little more experimental in mixing sweet and savory herbs.. like cinnamon and parsley. And sea salt! I learned about celtic sea salt, and that all the salts really do taste different. 3. 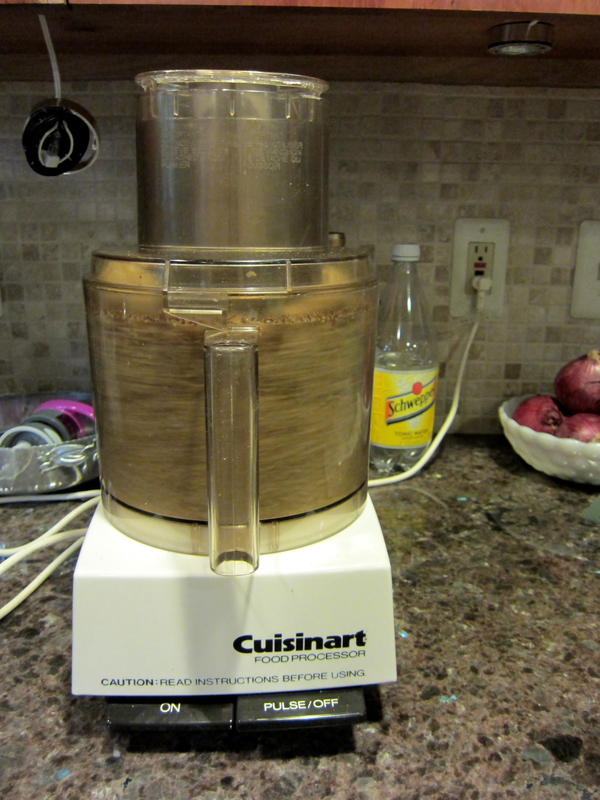 If you let dried fruits and nuts run long enough in a food processor, eventually it will become a paste – the oil in the nuts will bind it together. And nuts have loads of oil, so be careful! This is an all time Jewish favorite! First toast kasha on stove. Then, cook in water and salt according to instructions on box. Meanwhile, cook onions in oil over low heat until deep brown – this will take a long time. 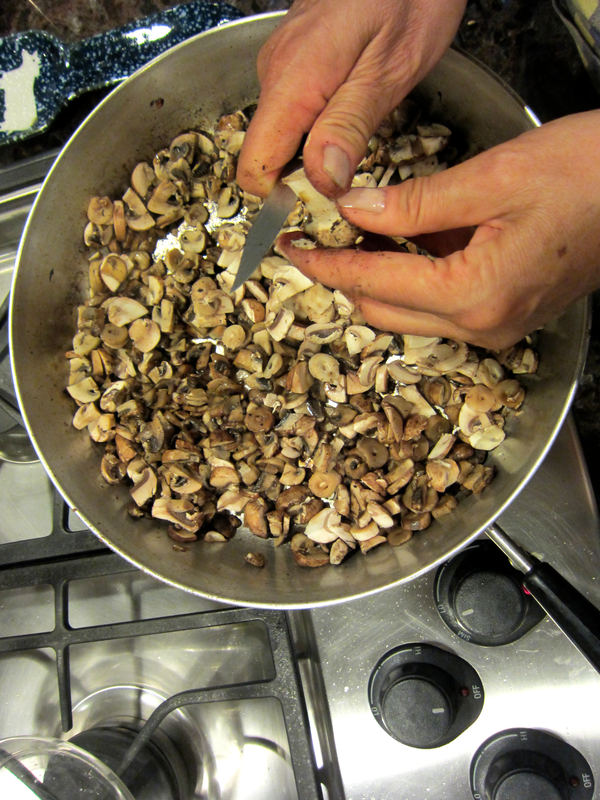 Add garlic and mushrooms and cook til browned and tender. 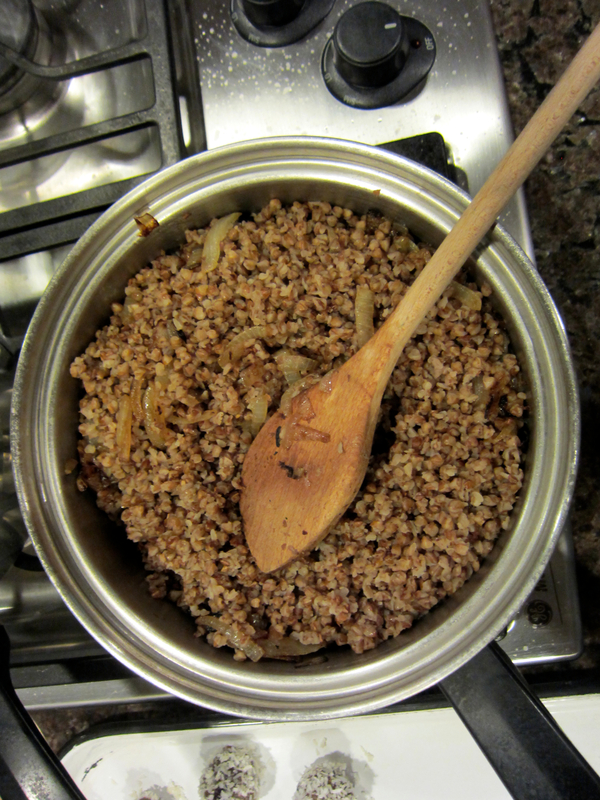 Stir into kasha. Add salt and lots and lots of pepper. If you get bored of eating it like this, stuff the leftovers into pepper, add tomato and bake in the oven! Kasha is also great as a garnish to any salad or veggie. 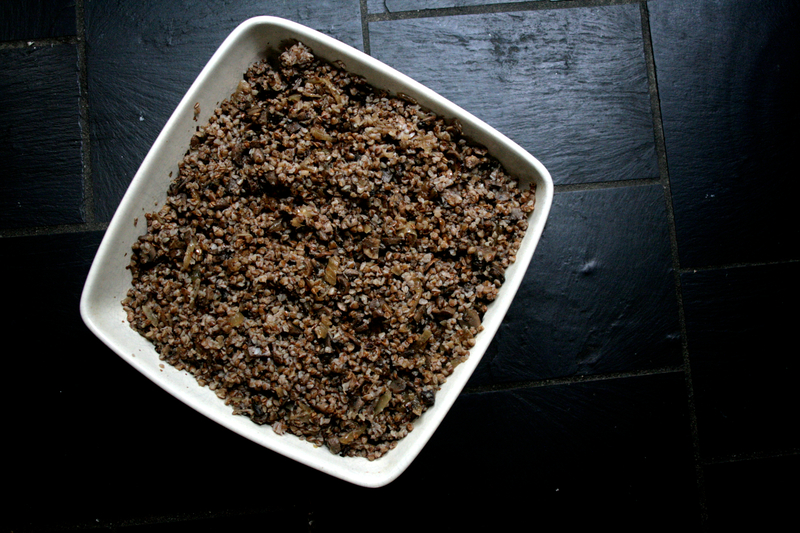 Just toast the kasha and throw it on any dish for extra crunch! Lay 1 pint of cherry tomatoes (seasoned with salt and pepper) flat on pan and roast in 350 degrees until shriveled and brown on the outside. This may take up to 1.5 hours. In the meantime, cook the quinoa according to the box (I like to toast the quinoa in a pan before cooking – it brings out a nuttier flavor and always makes the quinoa more fluffy and chewy rather than mushy). Heat 1 tbs of olive oil in pan. Add diced shallots and cook until brown. 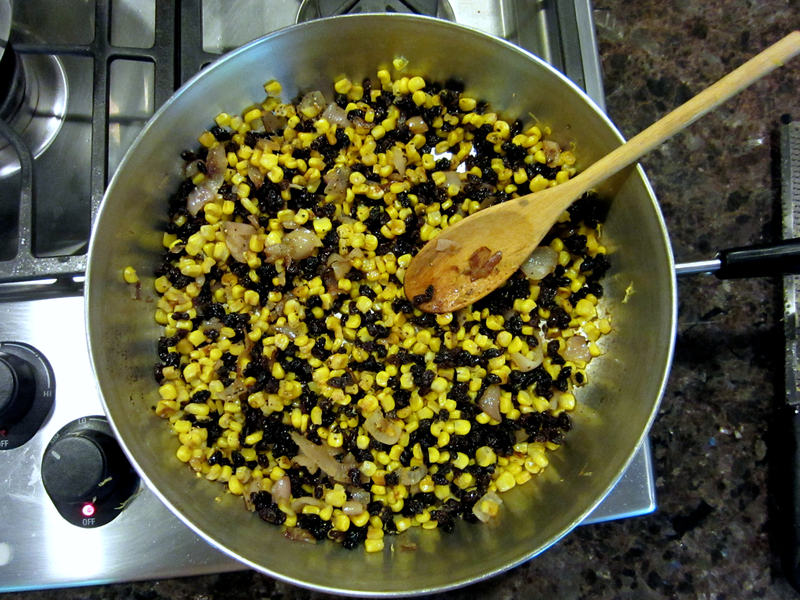 Add corn, salt and pepper and cook for 10 minutes. 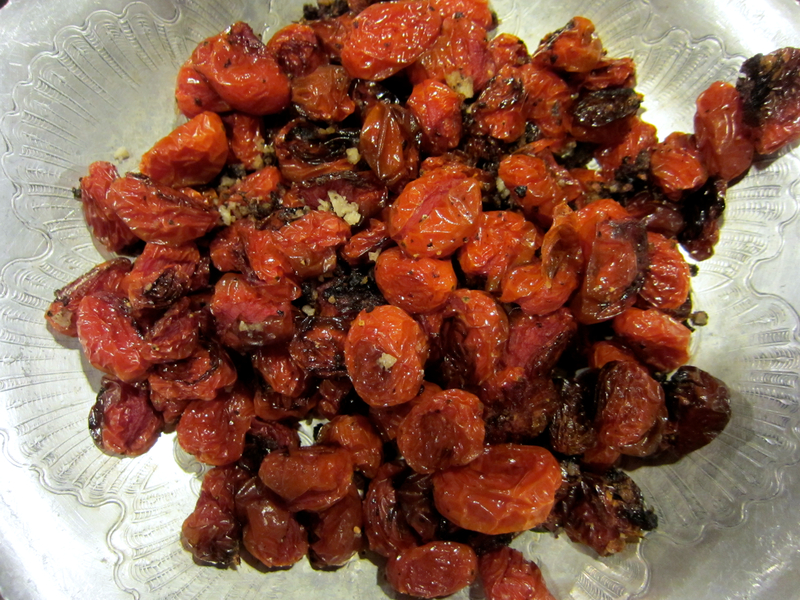 Add currants last, leaving them in heat for 2 minutes – just enough to plump them. Remove corn, shallots and currents from stove and stir in pesto. 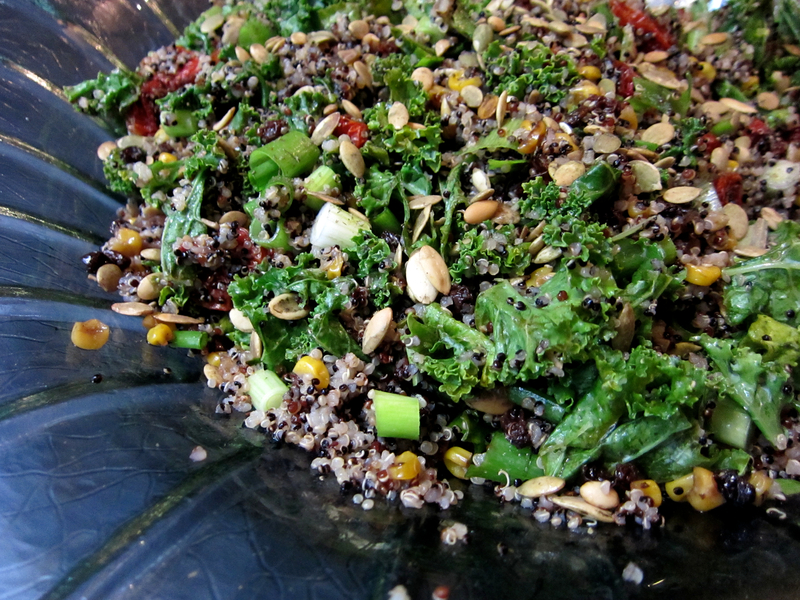 In a separate bowl, add chopped kale, sea salt, lemon juice and lemon zest. 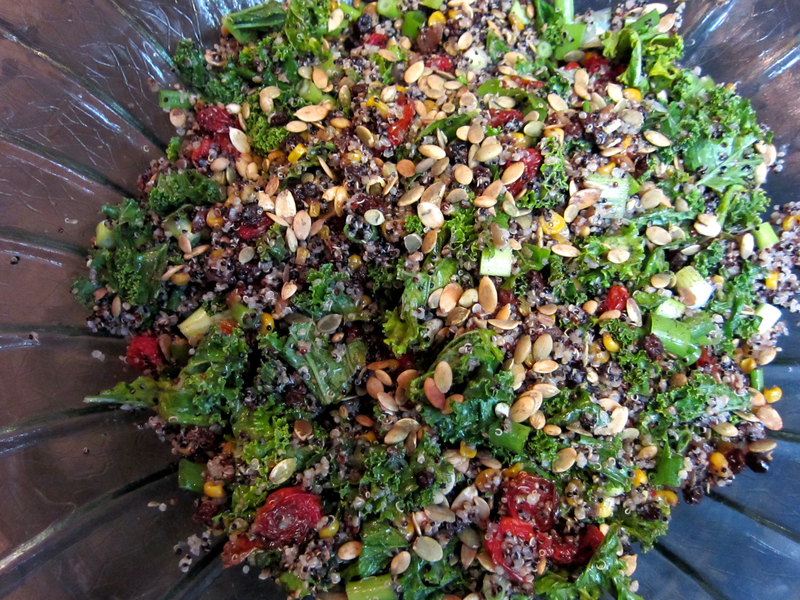 “Massage” this marinade into the kale, gently rubbing the leaves until they become bright green and tender. This should only take 5 minutes. When above components are complete, mix together. Add pumpkin seeds and chopped right before serving so that they stay crunchy. The best part of this dish is the variety of texture – chewy quinoa, gummy roasted tomatoes, and crunchy pumpkin seeds. And look at all the beautiful colors!! Mix sugar mixture into flour mixture. Add to combined mixture and mix thoroughly. 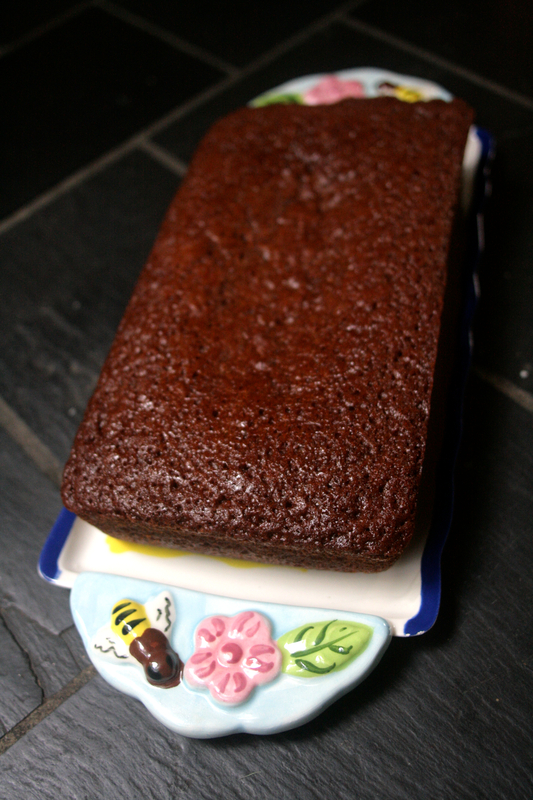 Grease 2 standard sized loaf pans. Divide batter into the loaf pans. Bake about 45 minutes til toothpick comes out clean. Start checking at 35 minutes and do not overbake. Dump all ingredients except for raisins and coconut shreds into food processor, and run processor until a smooth oily paste develops. This may take a while depending on the food processor. If it gets warm, turn it off for a bit so that you don’t overheat the engine. 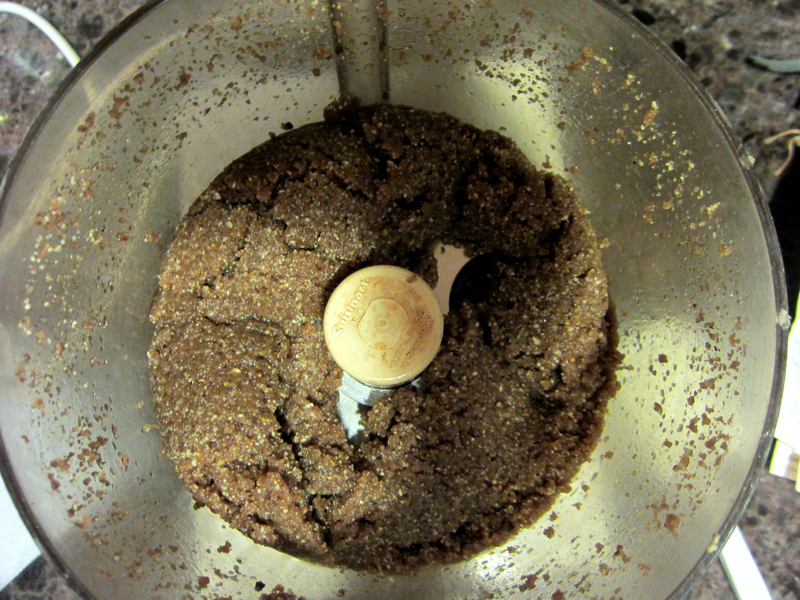 Remove from food processor and mix raisins into paste. 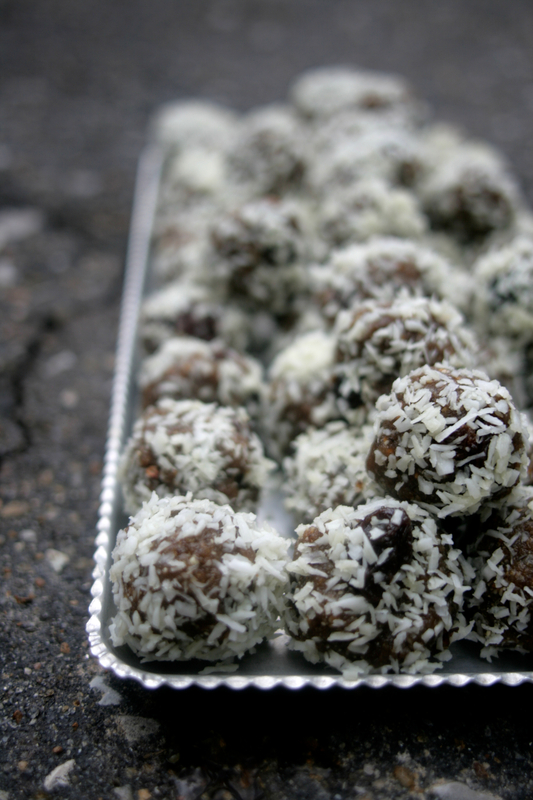 Roll into balls, and then roll in coconut shreds. 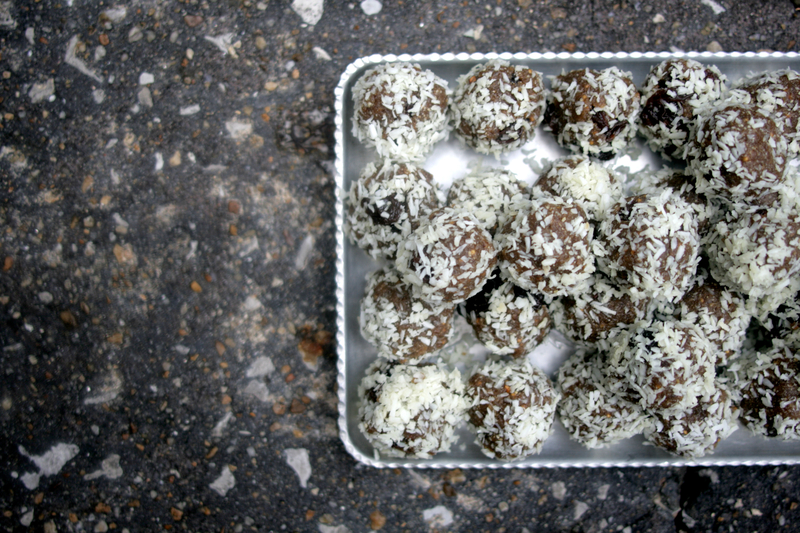 Put in fridge to allow the balls to harden before serving. 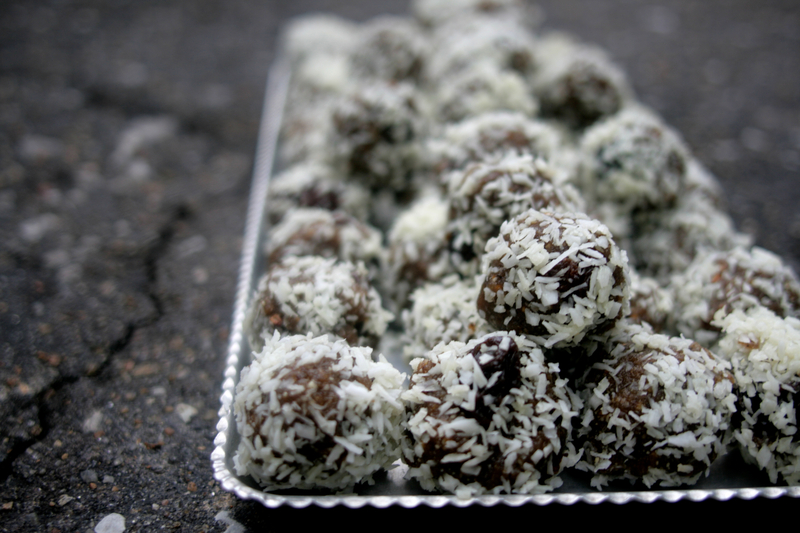 This version of the balls tasted a bit earthier than the original. 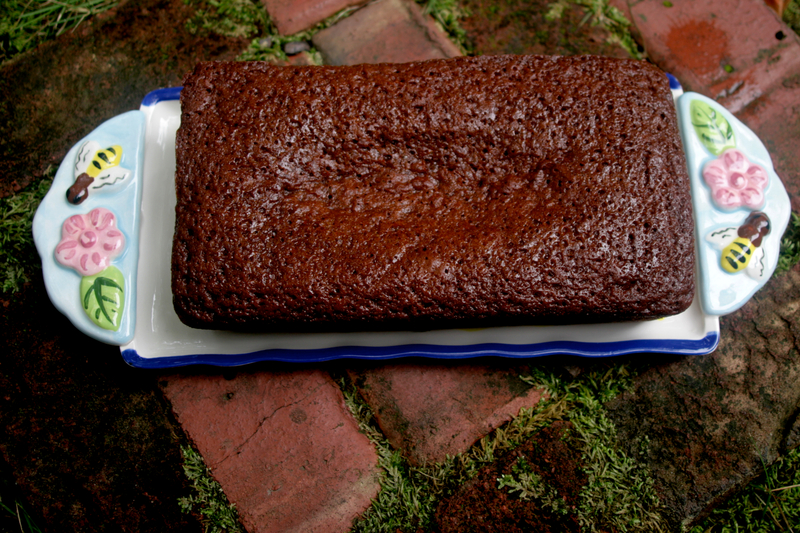 I used only pumpkin seeds in the original version, which produced a creamier, smoother taste. 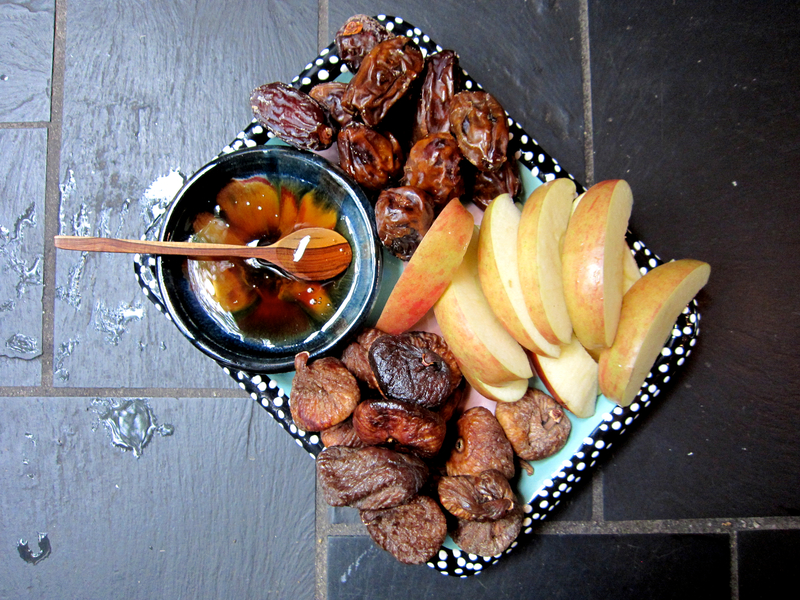 Really, any nuts will work (any combo of fruity sweet and nutty fat is delish) – use whatever you have in the house. Chop up 3 pounds of onions (more if you like onions) and sauté them in a little Mazola oil until golden or as brown as you like. Peel and mash potatoes, add cooked onions, a little oil and salt and pepper to taste. Add enough Gold Medal Unbleached flour to make it doughy and elastic. It should be soft, pliable, shiny and greasy to the touch. Place a tube-like amount (1 – 1 ½ “ diameter) of the potato mixture filling about a ½ inch from the edge of the rolled dough closest to you along the length of the dough. Just plop the potato mixture along the edge of the dough and shape it as you roll it. Imagine the potato mixture as a long thick hot dog that you will wrap dough around. Use more potato mixture if you like really thick knishes. Start at the long edge of the dough closest to you and roll/wrap the dough around the potato mixture tightly to shape your roll (like a long horizontal tube) and continue rolling the dough around itself until you have wrapped it a few times. Because the dough is thin, wrapping it a few times will cover any holes that may have popped up. The dough is very stretchy and is actually pretty forgiving. 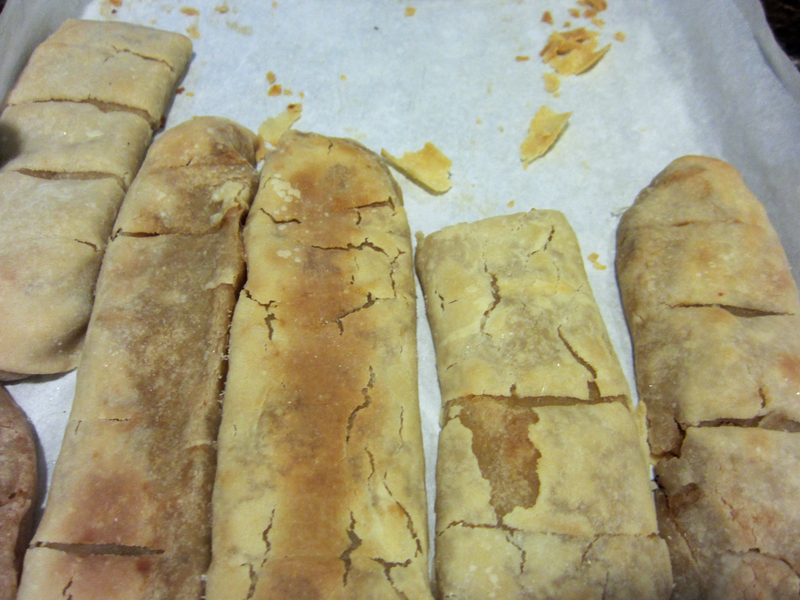 Close the ends by pinching the dough together or folding ends under. 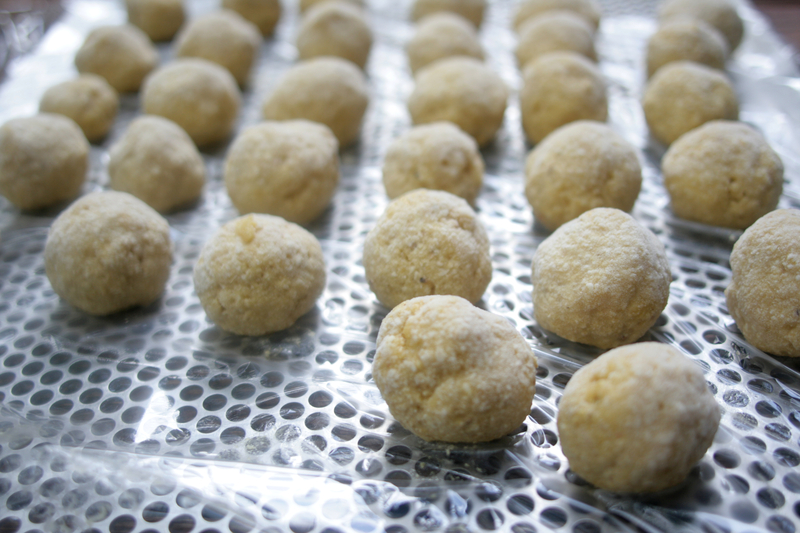 Lift the Knish “tube” and place seam side down on a cookie sheet sprayed with PAM or use parchment paper. Lightly score (cut) the top of the tube with horizontal angled cuts about an inch apart across the length of the tube to define each bite size piece that you will cut after the knish is baked. Do not cut all the way through. Brush the top lightly with oil and bake at 350º until golden and crisp. Cut along scored lines and place knish pieces on platter to serve immediately, if you can get them out of the kitchen before they disappear. You will get several tube-like rolls of knishes from this recipe. 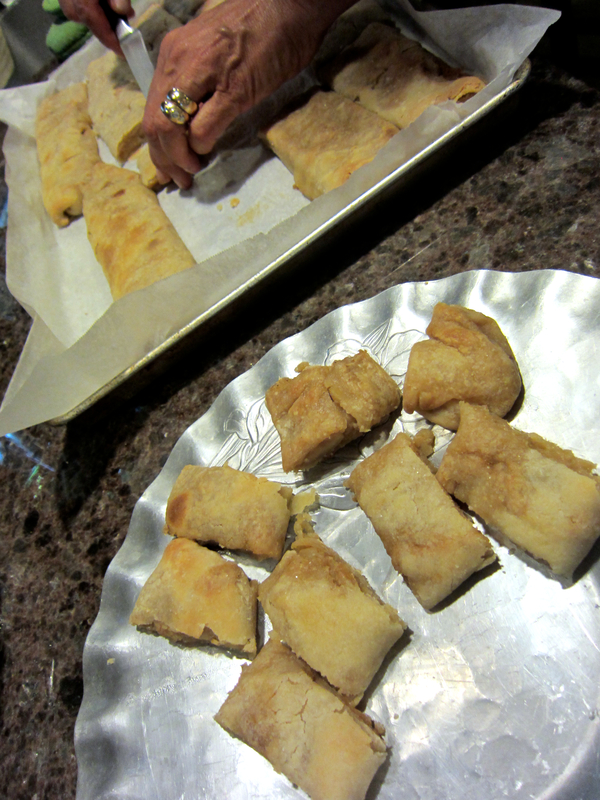 You can cut 10 to 15 knish pieces from each roll depending on how big you make them. Bubbe’s knishes are generally no bigger than 1 ½ inches in diameter and cut into pieces about that long. 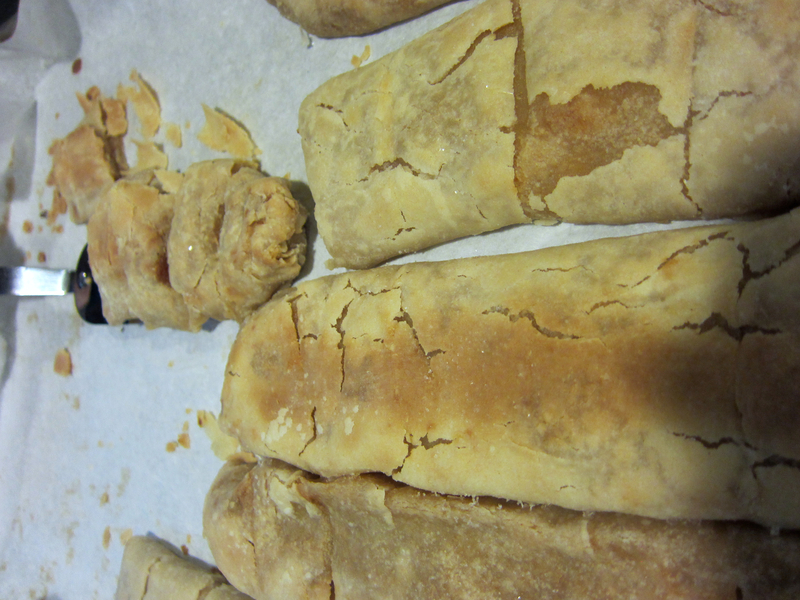 Whole lightly baked knish rolls can be frozen and re-baked at a later date when needed. Before rebaking, brush with a little oil and add a little salt n the top if you like them on the saltier side. Pop the frozen knish in the oven at 350 and bake until crisp and golden. If you run out of dough before you run out of filling, make another batch of dough, or just serve mashed potatoes with onions at your next meal. If you have too many fried onions, save them in a glass jar and use them next time you make something with fried onions, which in our house, was almost every meal. If you run out of filling before the dough, just freeze the leftover dough and use it when you have some extra apples or peaches or blueberries and make a strudel.